The word CONVERGENT means coming closer together; converging (like two roads or two rivers that come together to form one. Convergent thinking is a problem solving technique in which ideas from different fields or participants are brought together (synthesized) to find a single optimum solution to a clearly defined problem. 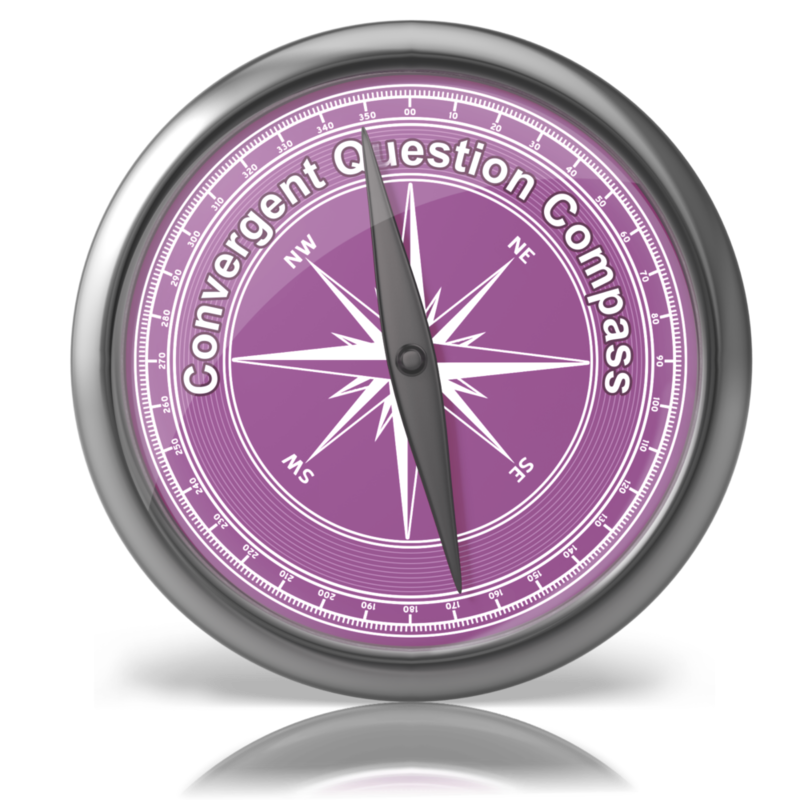 Therefore convergent questions are designed to try and help you find the solution to a problem, or a single response to a question. It is about narrowing down, refining or honing in on something. These questions usually have a single answer. ​What is the single most important point that has been made? What is one word that would describe…....? ​What was the reason why.....? ​What happened as a result of..........? ​What happens when you .......?